Real success comes only to those who are ready for it. So never step back and always have courage to accept new challenges. 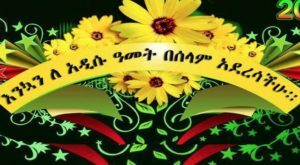 Wishing you a very happy Ethiopian new year!!! The long anticipated IT training and mentoring program in Atlanta by Targeted Technology Institute is now a reality. Register for this fall class, and hurry we have very limited spots open. Download this form, fill in electronically and send it to info@targetedtec.com to complete the registration. If you opt to pay with PayPal, please use below link to make the secure payment.